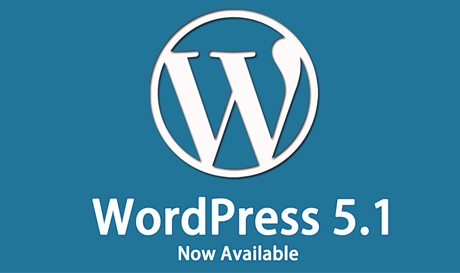 If you like to keep up with the latest WordPress news, you’ve definitely heard of the new version of WordPress, 5.0. Unlike previous releases of WordPress which used to focus mainly on introducing a plethora of new features, updates, and improvements, WordPress 5.0 is going to completely change the way how we use the CMS forever for, of course, a better, faster and easier user experience. Although the exact release date of WordPress 5.0 has not been set yet, you can expect to see a notification message regarding upgrading your site to WordPress 5.0 in your Dashboard by the end of this year. In the meantime, it’s a great idea to make yourself familiar with all the ‘big and unique’ changes that are coming to WordPress 5.0. So, without further ado, let’s dive into the bright new future of WordPress! Gutenberg, the new WordPress editor, is indeed creating all the buzz about the WordPress 5.0. Currently available as a plugin in the WordPress Plugin Directory, Gutenberg will be a part of the Core in WordPress 5.0, replacing the traditional WYSIWYG-based TinyMCE editor and providing users with a whole new ‘block-based’ editing experience. While the WordPress 5.0 Core Team is knee-deep in making Gutenberg the best ever WordPress editor, most WordPress users are getting frustrated with the fact that Gutenberg will be included in the WordPress 5.0 Core instead of being used as a separate plugin. That’s because they found it barely usable and highly unstable. 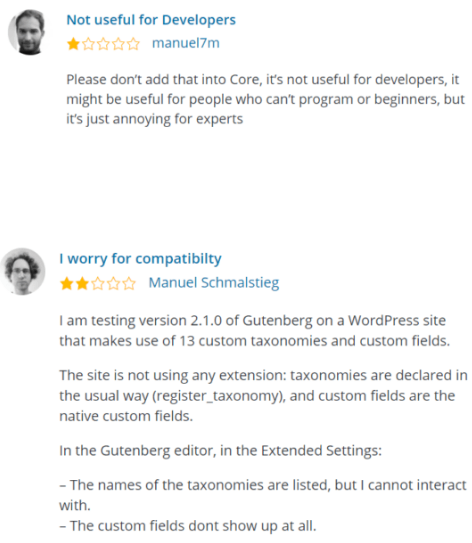 Take a look at honest reviews of some users who have already tried the upcoming WordPress 5.0 editor. Gutenberg introduces a completely new way of publishing the content on your WordPress site. Unlike the current WordPress editor where your content lives inside a single big HTML file, Gutenberg takes advantage of Blocks to handle your content. 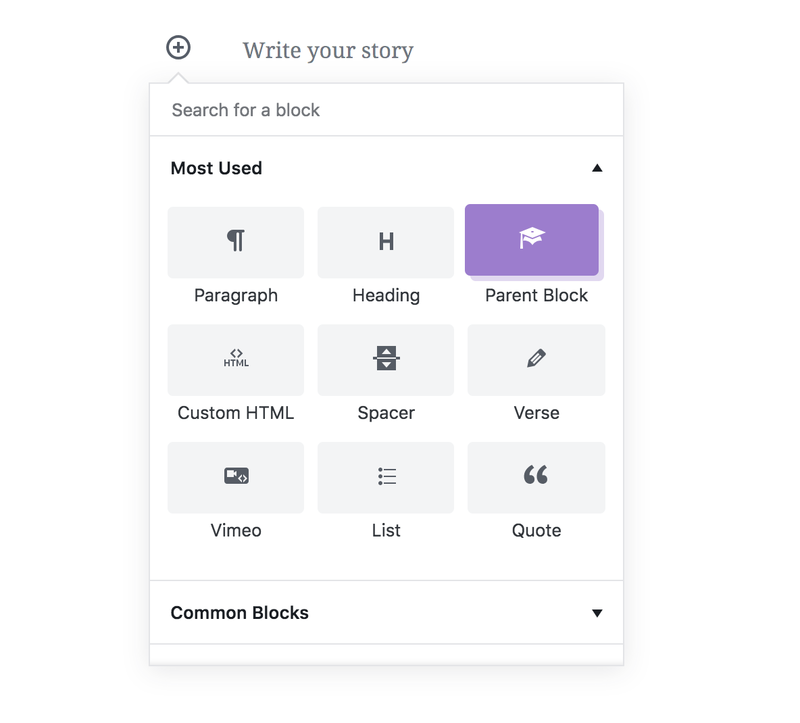 Whether it is text, a picture, a heading, a quote or anything else, everything will be a Block in the new WordPress 5.0 editor. To add a new Block to your post, all you need to do is click the + icon given inside the WordPress 5.0 editor and select what kind of block you want to include in your content. That’s it! What’s more interesting is that using arrows given to the left of each Block, you can change the orders of your blocks as per your taste and even create custom blocks. Isn’t that cool? One of the coolest features of Gutenberg is Reusable Blocks with Dynamically Loaded Content. Think of these as a custom Block with your preferred settings, which will work same across your WordPress 5.0 site. For example, if you create a visually appealing layout for the conclusion of your blog posts, you can save this as a reusable Block and use it repeatedly across the entire WordPress 5.0 site. Even, any changes you made to a Block will automatically reflect in real time wherever that particular Block is used. 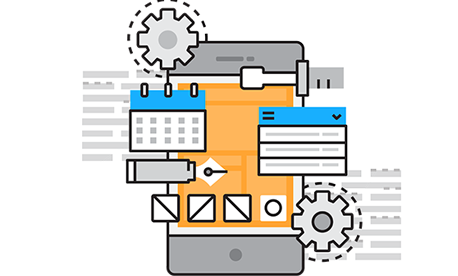 This feature is primarily for developers who want to build their own custom Blocks. Leveraging this great functionality, developers can restrict end-users from adding something irrelevant to their custom Blocks. For instance, if a Block contains students with photo gallery disabled, users will be able to add just those elements which they are allowed to – like the name and age of a particular student. Using this feature, a developer can define a Block as a child of another Block. However, the child block will only be shown when the parent Block is presented in the content. The main purpose of this feature is to reduce the number of Blocks displayed at any given time by making the inserter even more contextual. For end users, this is probably one of the best features that they were expecting for a very long time. With the new WordPress 5.0 editor, when you copy content from any source and paste it directly to the editor, it goes off smoothly without losing the previous formatting. The same also works for URLs, lists, bullet points, headings and anything else you paste inside the editor. Want to try Gutenberg without installing it on your current WordPress site? 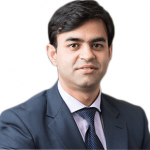 Try out this live demo right now! The WordPress Rest API, which allows developers to send and pull data from your WordPress site in order to create feature-rich and user-friendly products, will likely to see notable improvements in WordPress 5.0. That’s because after the major REST API exploit that took place in January 2017, the company is continuously tightening its security with advanced features like SSL Certificates and two-factor authentication. Hence, we can expect Automattic to improve the Rest API in WordPress 5.0. Integrating the Gutenberg editor with the Core, the WordPress 5.0 Team simply wants to improve the site-building functionality of the CMS. In fact, Gutenberg is WordPress’ attempt to stay abreast and ahead of its popular rival hosted site builders like Wix, Weebly, and Squarespace. With the introduction of Gutenberg editor in WordPress 5.0, you’ll undoubtedly enjoy a more intuitive and interactive site-building experience. 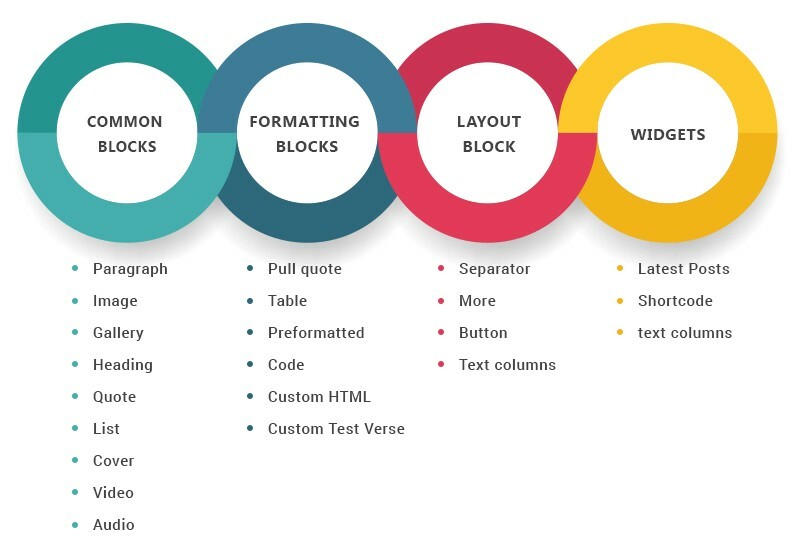 Custom WordPress Theme Development will undoubtedly be much quicker and easier with the help of Blocks. 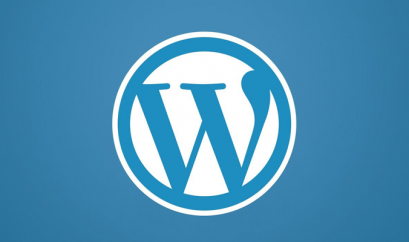 Unlike before, when a developer needed a solid development background to create a WordPress theme, WordPress 5.0 will likely require very little coding knowledge to develop a custom WordPress theme. That’s because developers will be able to take advantage of blocks to fill in unnecessary gaps and customize the theme as per clients’ requirements. That’s all about WordPress 5.0! Feel free to contact us if you face any problem upgrading your site to the new version of WordPress.